The project, co-funded by the Justice Programme of the European Union, addresses the specific situation of children and young people in cases of radicalisation, extremism and terrorism, as well as their protection under international and European law. The objective of the meeting was to discuss and to identify policy responses and specialised programming to face this issue in Europe. The meeting was based on the results of regional research carried out during the first year of the project. This meeting had two specific goals: to discuss the draft of the regional research with external experts in order to improve it before its publication, and to receive inputs from these experts in order to draft recommendations and guidelines that will be published at the end of the project in a white paper. 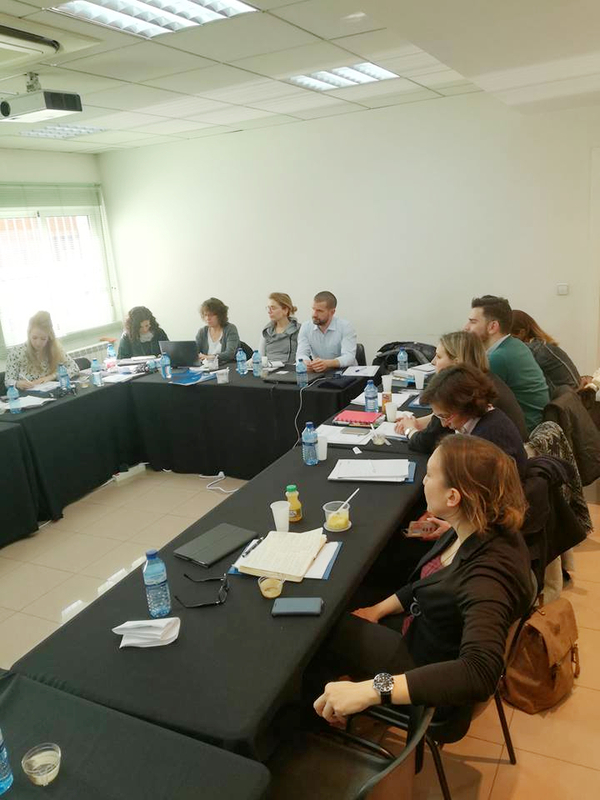 The steering committee meeting began with an opening speech by Raquel Jiménez Martos, director of the IJJO, who welcomed those who attended the event and laid out the agenda for the meeting. Following this, Frances Sheahan, external consultant for the project, presented the first version of the project’s regional report, in which the national reports of Austria, Belgium, Croatia, France, Germany and the Netherlands were collected. The draft was previously sent to all the experts, asking them for comments and inputs to be shared during the meeting in order that the document could be improved. After a brief presentation of this draft report, project partners were invited to comment specifically on the draft. Following this there was a fruitful discussion involving all participants on the issues dealt with by this research in each country. The second session of the day was dedicated to discussing policy-oriented recommendations, lessons learned, and guidelines for EU institutions, national agencies, judicial staff and practitioners at a European level. These recommendations will be included in a white paper to be published at the end of the year and launched during the final conference of the project in December 2018. 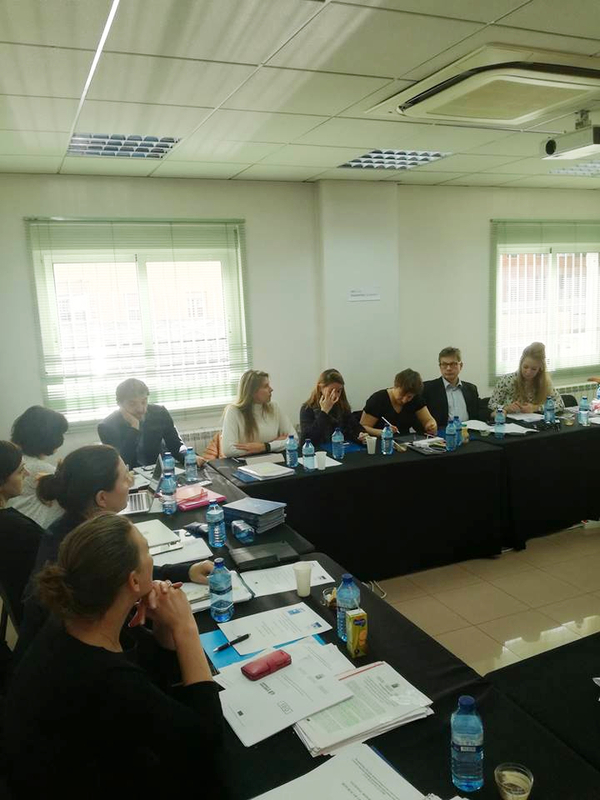 This was followed by the project partners and invited experts dividing themselves into working groups and discussing issues related to the treatment by juvenile justice systems and the media of children accused of terrorism-related crimes. The sharing of information and subsequent debate were moderated by Els Dumortier, professor specialising in juvenile justice at the Faculty of Law at Vrije University in Brussels and member of the European Council for Juvenile Justice. As a conclusion, participants were invited to become members of the new community of practice that the project has recently launched on a new website, and to publicise it through their networks. This community of practice will act as a unique source for professionals and stakeholders to map out a European overview of counter-terrorism policies, as well as to promote the exchange of countries’ specific information. The community will, among other resources, offer guidance on promising experiences, procedures, criminal codes, offences and legislation in each partner’s Member State.